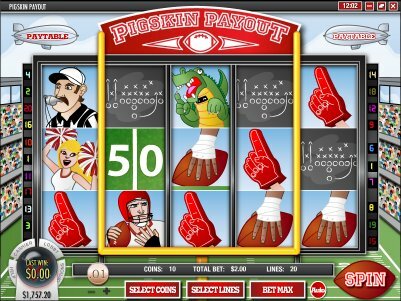 Overview: December 2008: Just in time for the final weeks of the NFL season, Pigskin Payout is the newest video slot from Rival Gaming. This football-themed Video Slot features a wild icon with multipliers, scatter symbols, and a Jackpot Can't Lose feature that is sure to generate some giant wins! 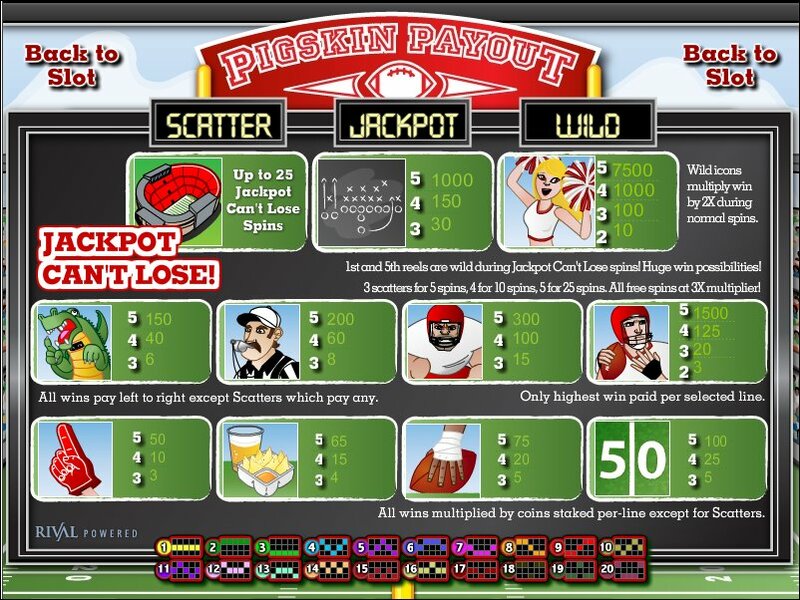 Similar Slots: If you like Pigskin Payout, you might like these other Rival video slot machines: Candy Cottage, Hobo's Hoard, Scary Rich 2, Summer Ease, Vintage Vegas, Winter Wonders.